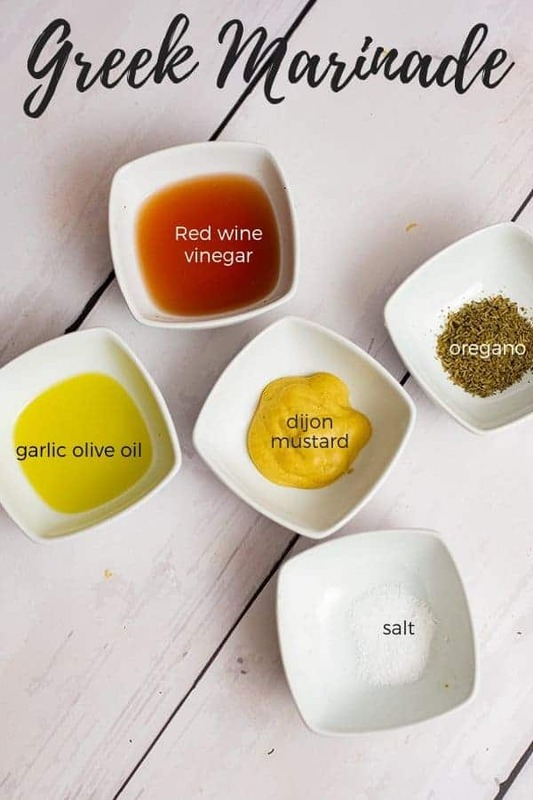 These 5 easy chicken marinade recipes will help you get a flavorful, simple meal on the table that your whole family will enjoy! These easy chicken marinade recipes are all Whole30, paleo and gluten free! You can make the marinades early in the week to marinate your chicken with overnight, or you can even freeze marinaded chicken to use for later in the week! Most people love the idea of meal prep, but don’t want to spend hours and hours in the kitchen on the weekend or don’t want to eat the same meal over and over again during the week! 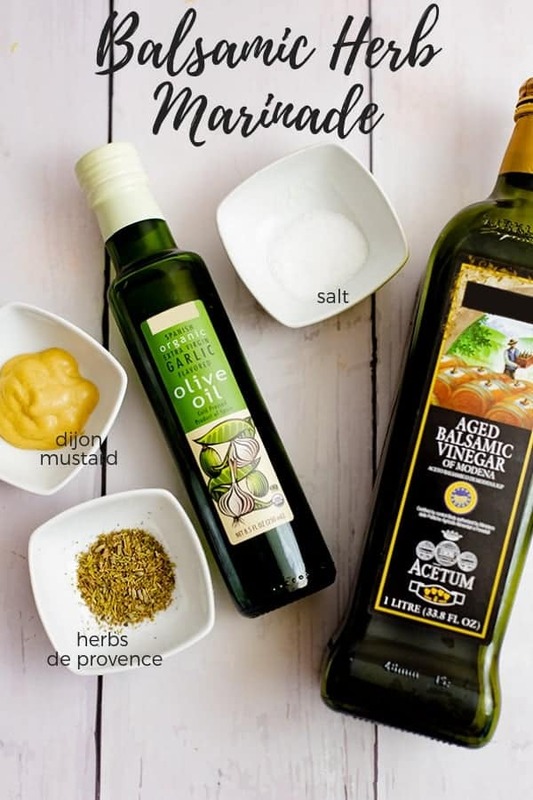 One solution I often recommend to my clients is to spend a few minutes on the weekend making some marinades and sauces that will take your normal meal from boring to exciting! 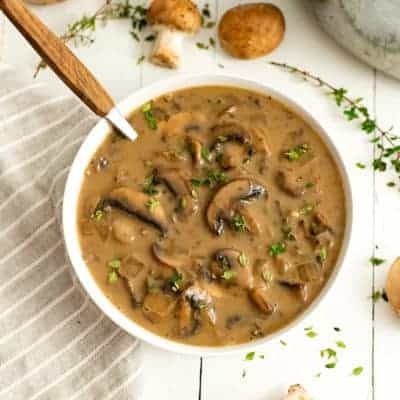 By just spending a few minutes on the weekend measuring ingredients, you can be sure to have a different, healthy meal for dinner every night, even if you don’t always have a ton of time! You won’t believe how easy it is to create healthy, tasty meals with these easy chicken marinade recipes. There are often quite a few common questions when it comes to marinating chicken. Here are my top tips! How long can you refrigerate marinated chicken? Because of the acid in the marinade, you don’t want to keep marinaded chicken in the refrigerator for more than 24 hours. If you find that you cannot cook the chicken within 24 hours, place the chicken and the marinade together in the freezer, sealed tightly! The minimum amount of time for marinading chicken is usually 20 minutes, but 8-12 hours is ideal. You can place the marinade over the chicken right before work or the night before if you are cooking it in the slow cooker the next day! What is the best way to cook marinaded chicken? The best way to cook marinaded chicken (fresh or defrosted) in the oven is to preheat the oven to 450F and place the chicken in a glass pyrex and cover it with foil. For chicken breasts, you will want to cook for about 18 minutes covered, and about 5 minutes uncovered at the end. You want to be sure the chicken reaches 165F internal temperature. For chicken tenders or when using chicken cutlets, you will want to cook for 10 minutes covered, and about 5 minutes at the end, making sure the chicken reaches 165F internal temperature. To cook marinaded chicken in the crock-pot or slow cooker, you will want to add some chopped vegetables to the bottom of the slow-cooker so the chicken doesn’t burn and so the veggies will give off some moisture to the dish. I like to add frozen pre-chopped veggies (like peppers and onions or green beans) to the bottom of the slow cooker. If you are using fresh veggies, add about 1/4 cup of water to the veggies as well to make sure they have the moisture they need. Top the veggies with the fresh or defrosted chicken and cook on high for 4 hours or on low for 8 hours. Make sure the chicken reaches 165F before serving. If you are cooking the chicken from frozen, you will want to cook on high for 6 hours or low for 10 hours and make sure you check the temperature of the chicken before serving. Since the pressure cooker requires at least 1 cup of water to be added in order to reach pressure, you will have to get creative with this. 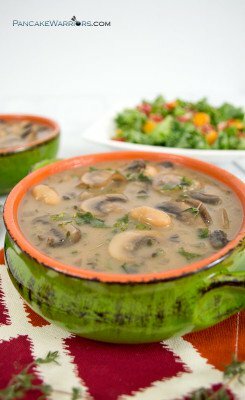 You can add fresh or frozen veggies to the bottom of the pressure cooker (just like the slow cooker) and 1 cup of water. Top the veggies with fresh or defrosted chicken and cook on high pressure for 12-14 minutes and allow to naturally release or manual release. Make sure the chicken reaches 165F. Alternatively, you can first sear the chicken breasts using the saute function (for about 10 minutes, cooking on the first side for about 7 minutes, flipping and finishing on the next side. Add 1 cup of water and cook under high pressure for 12-14 minutes (depending on the size of the chicken breast). Manual release or allow it to release pressure naturally, making sure the chicken reaches 165F. What is the best way to store marinaded chicken in the refrigerator or freezer? 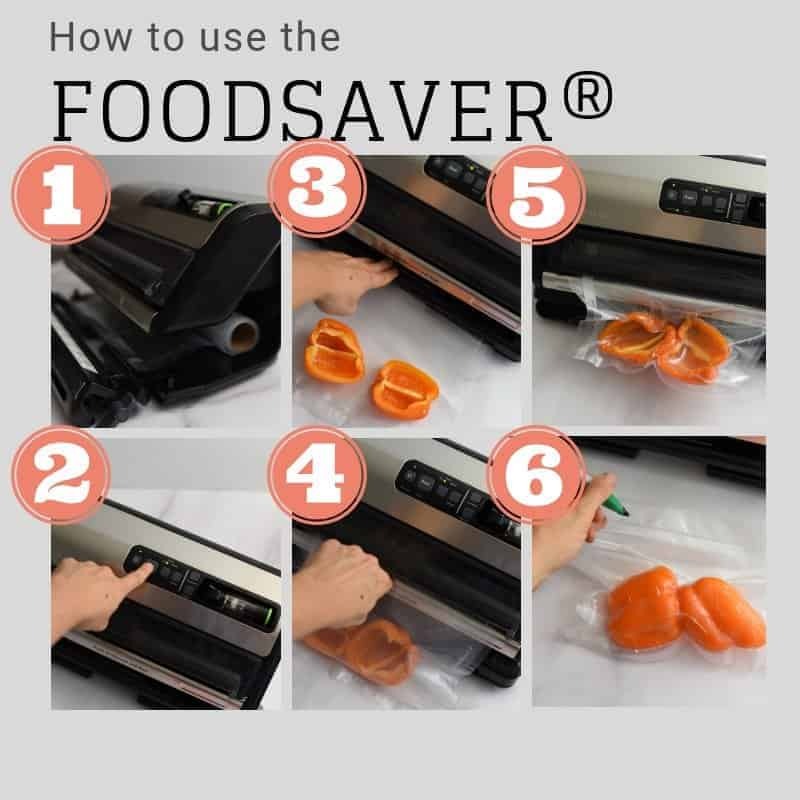 For things like marinaded chicken, I like to use the FoodSaver®, since it removes the extra air in and tightly seals the bags. Once the bags are sealed, I don’t have to worry about any leaks or drips in the refrigerator. 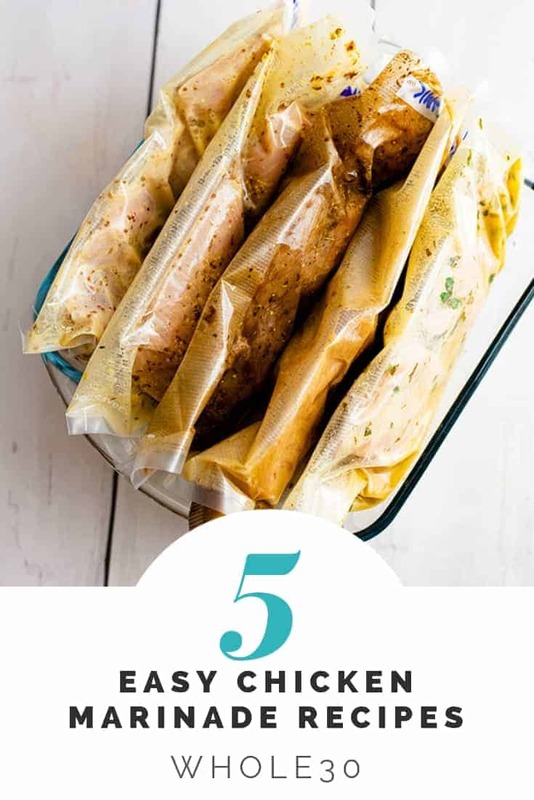 The FoodSaver® also helps prevent freezer burn, so if you decide you want to make your marinaded chicken recipes in big batches all at once, you can store them individually in the freezer (uncooked) to use later in the week or month and not have to worry about the quality of your food changing from freezer burn! You can later defrost the chicken in the fridge in the FoodSaver® bags, and not have to worry about it leaking in the fridge. 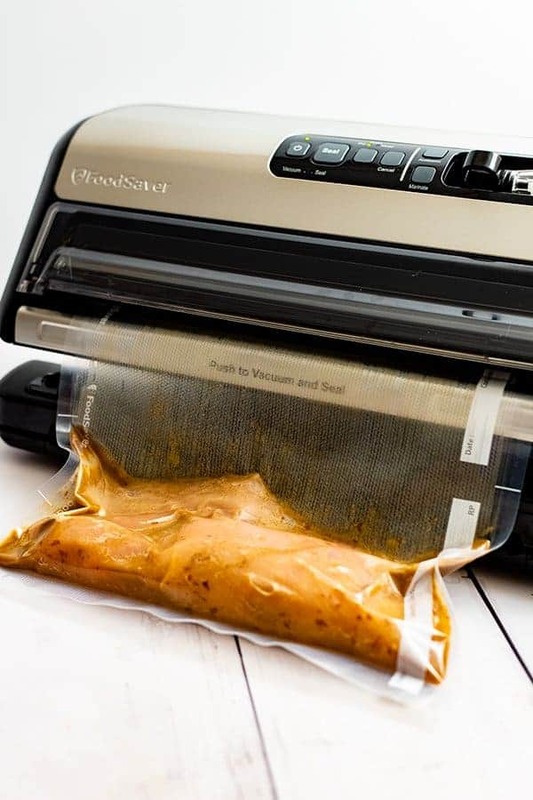 The FoodSaver® is also great if you decide to cook large batches of marinaded chicken in the slow cooker or pressure cooker and want to save it for later in the week! The FoodSaver® method keeps food fresh up to 5x longer in the fridge so the chicken you make on Sunday will still taste fresh on Tuesday night! You can even freeze the cooked chicken in the FoodSaver® bags for those nights when you don’t have time to make a meal from scratch. I love to use the vacuum seal rolls since they can easily be made into whatever size bag you need, making it easy to store both individual portions as well as family sized portions! The FoodSaver® will allow you to have less food waste and will save you time and energy! 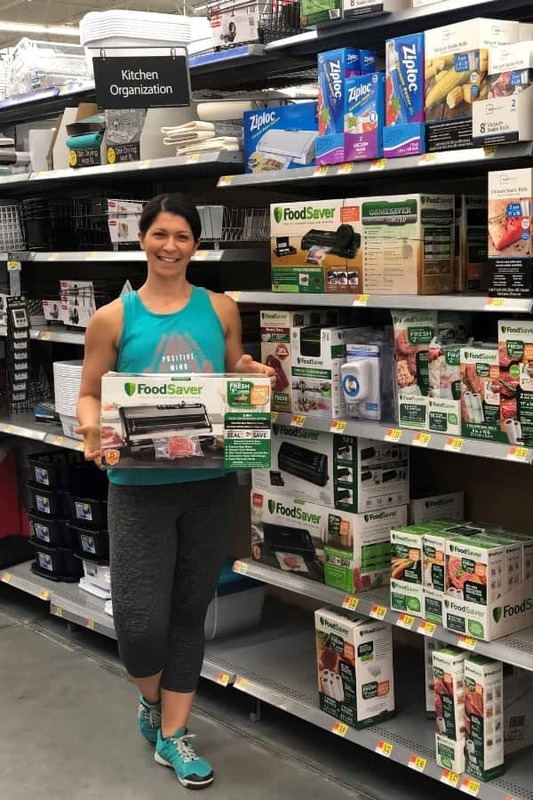 The FoodSaver® is a great investment and can be found right now on sale at your local Wal-Mart or online, making it easy to start using today! 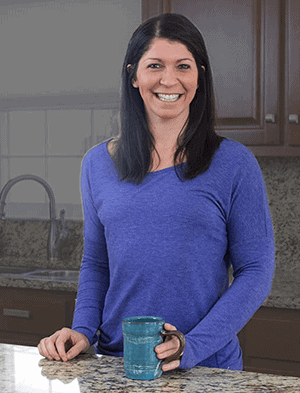 Here are some tips on how to use the FoodSaver®! I like to make a bag from a roll since I can control how big or small the bag is! First insert the bag to the FoodSaver®. Seal the bottom of the bag. Measure out how much roll material you will need. Remember, you always leave 3-4 inches more for sealing! Once you have the roll measured, use the cut feature and you will have your bag created! Fill the bag, then take the open end of the bag and place it in the vacuum and seal cavity. Be sure to label the bag with the name of the recipe and the date! Store in the fridge or freezer! These 5 easy chicken marinade recipes will make your meal prep for this week so simple! These recipes are Whole30 complaint, but don’t require any crazy ingredients or specialty items. The recipes are written for 1 pound of chicken or turkey! For more flavorful chicken, you can cut the breast into strips or bite size pieces, ensuring more of the chicken gets covered in the marinade mixture. 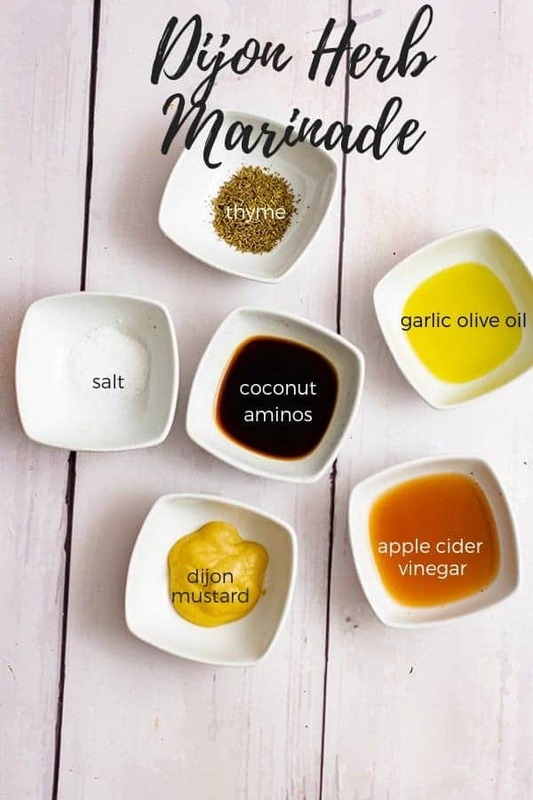 These chicken marinade recipes cook up easily and go great with your favorite veggies and starches like rice, quinoa, roasted potatoes, sweet potatoes or cauliflower rice or low carb pasta! 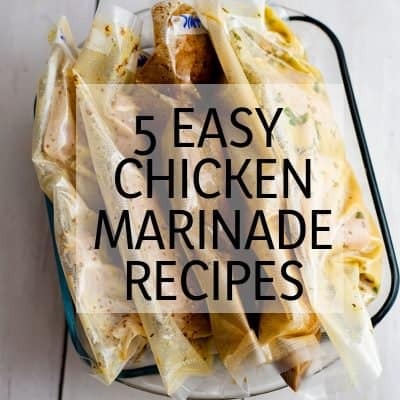 These 5 easy chicken marinade recipes will make your weekly meal prep a breeze! 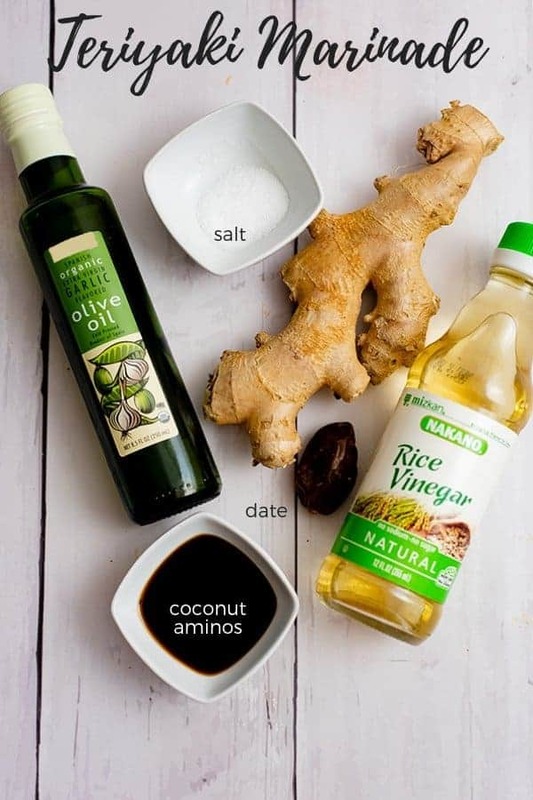 The marinades are paleo, gluten free, and Whole30 and are so easy to make! Better than store-bought and almost as easy! Combine the ingredients. Pour over 1 pound of chicken or turkey and allow to marinate for at least 20 minutes, preferably 8 hours. Zest a lemon. Juice two lemons or one orange. Add the rest of the ingredients to the lemon or orange juice and stir well to combine ingredients. Pour over 1 pound of chicken or turkey and allow to marinate for at least 20 minutes, preferably 8 hours. Combine the ingredients in a blender and blend on high until date has been completely broken down. Takes about 1 minute. 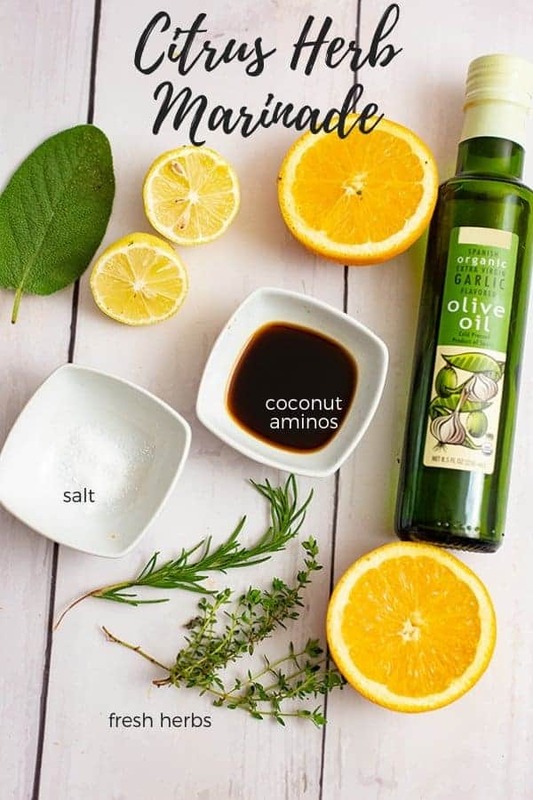 NOTES: If you do not have access to garlic olive oil, you can substitute regular olive oil and 1 tsp. garlic powder. Great easy, quick and tasty recipes. Do you think the Dijon herb marinade would work for steak such as flank or hanger?